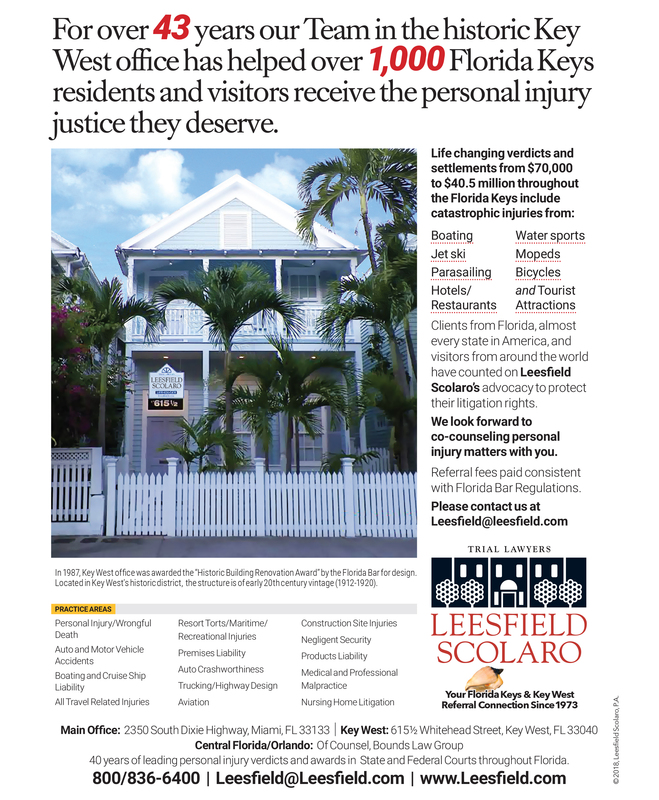 Our 40-year active practice in Key West and the Florida Keys has resulted in over 1,000 cases successfully resolved with verdicts ranging from $70,000 to $40.5 million verdict, and hundreds of mediations and settlements, according to Managing Partner, Ira Leesfield. 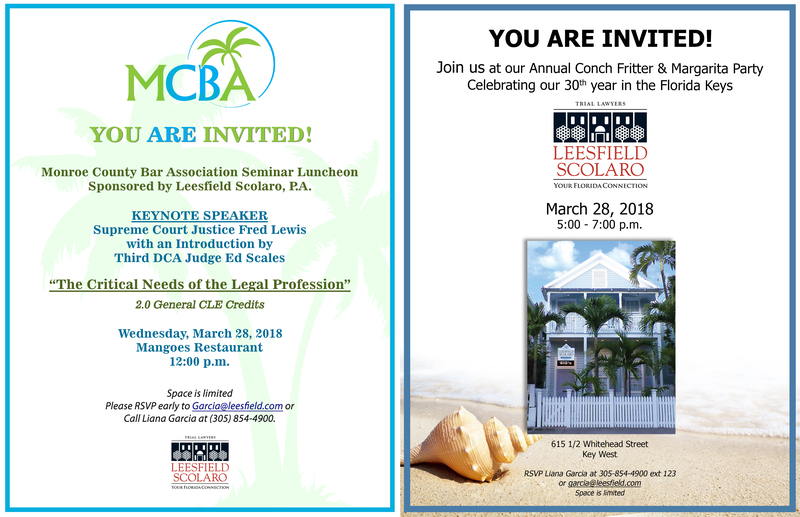 We look forward to seeing our friends and colleagues at both CLE luncheon and dinner festivities. Please be sure to call us if you can attend.